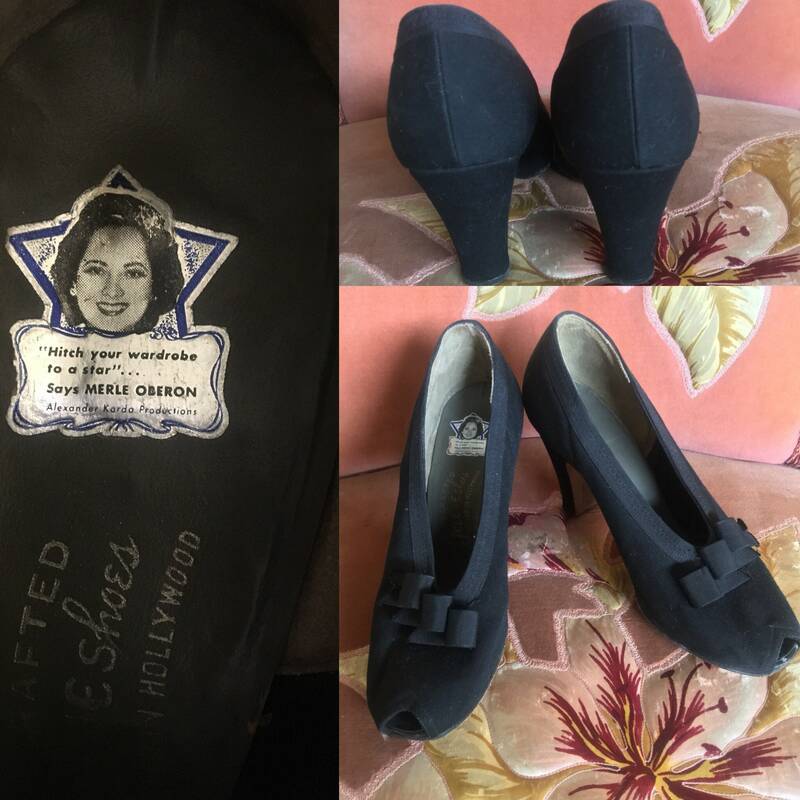 If you know anything about the fabulous Merle Oberon, major movie star of the 1930s and 1940s, she was married to Alexander Korda who produced her movies and help elevate her to famous movie star status. 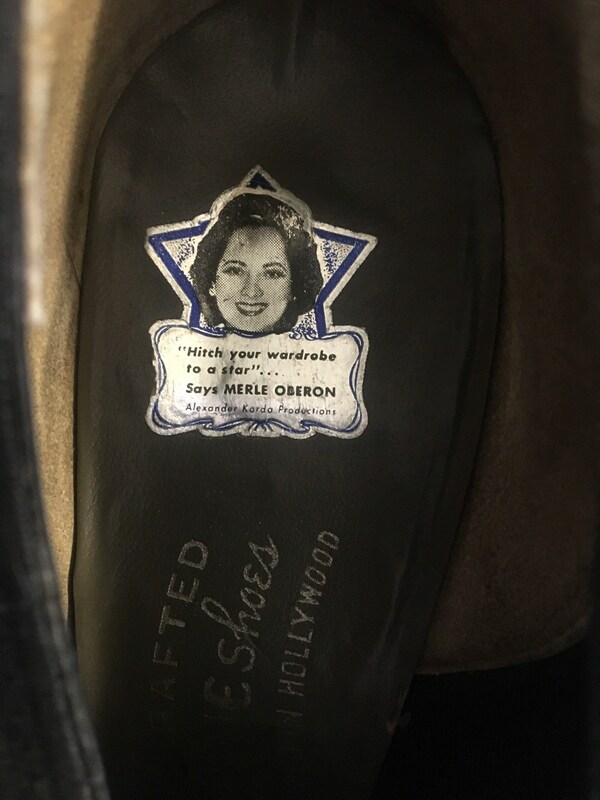 One shoe sole says “Handcrafted Jolene Shoes Styled in Hollywood, along side that the Merle Oberon sticker. 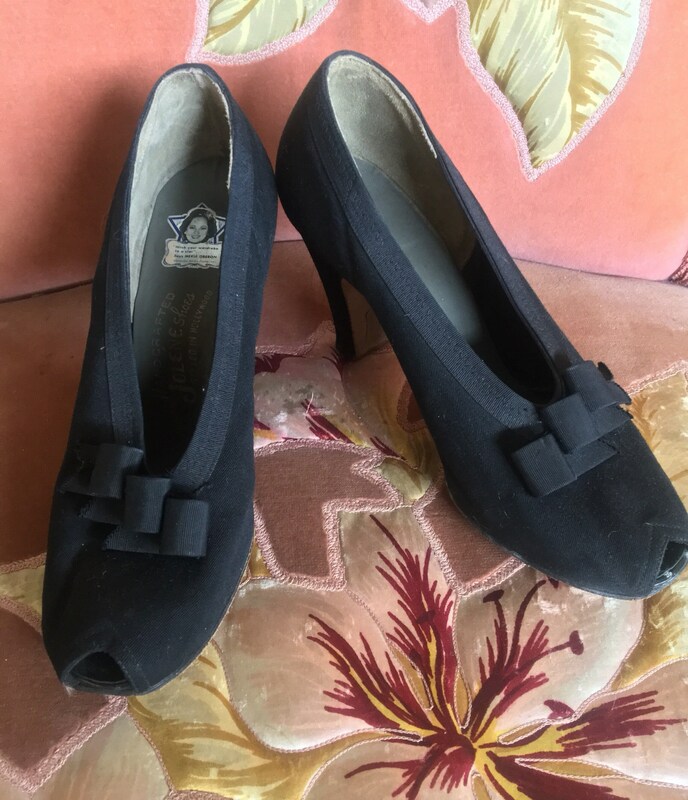 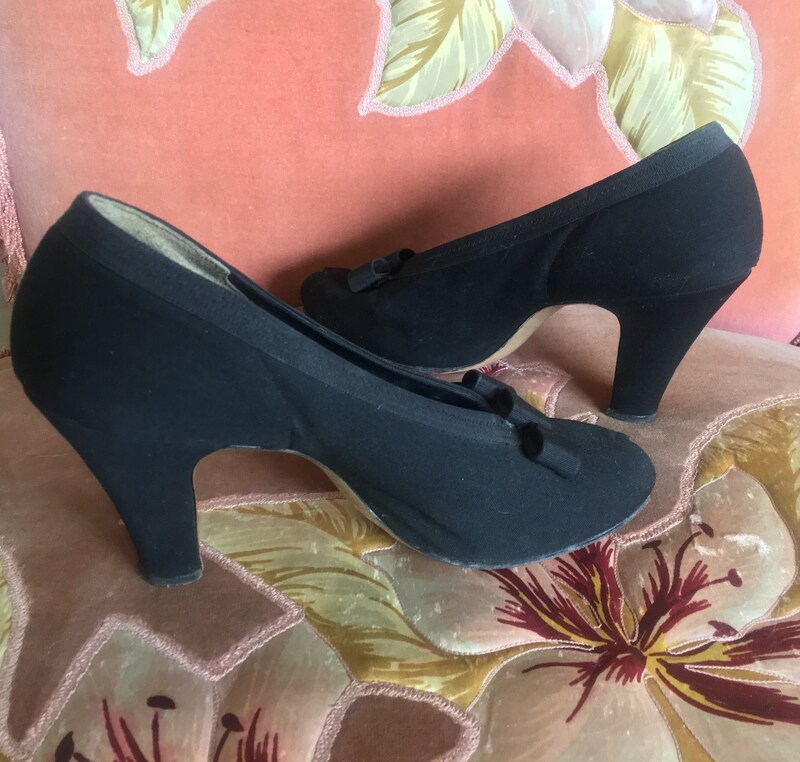 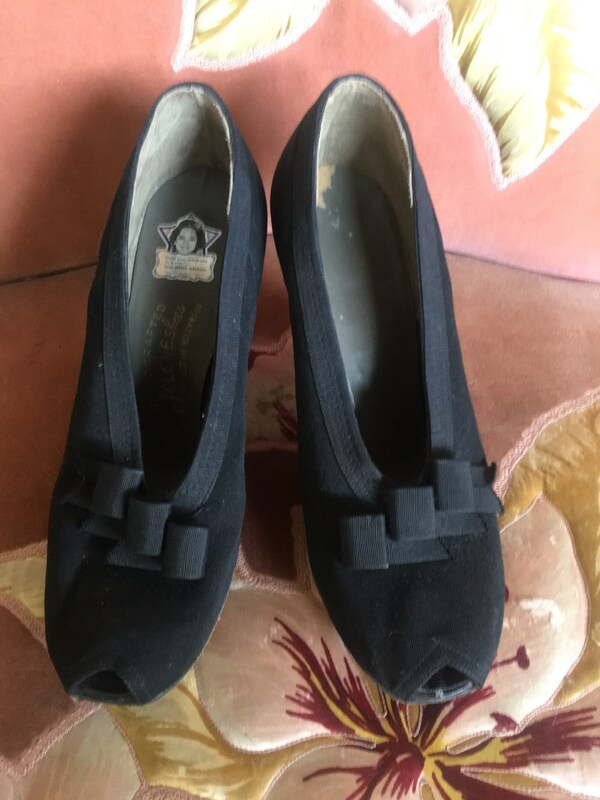 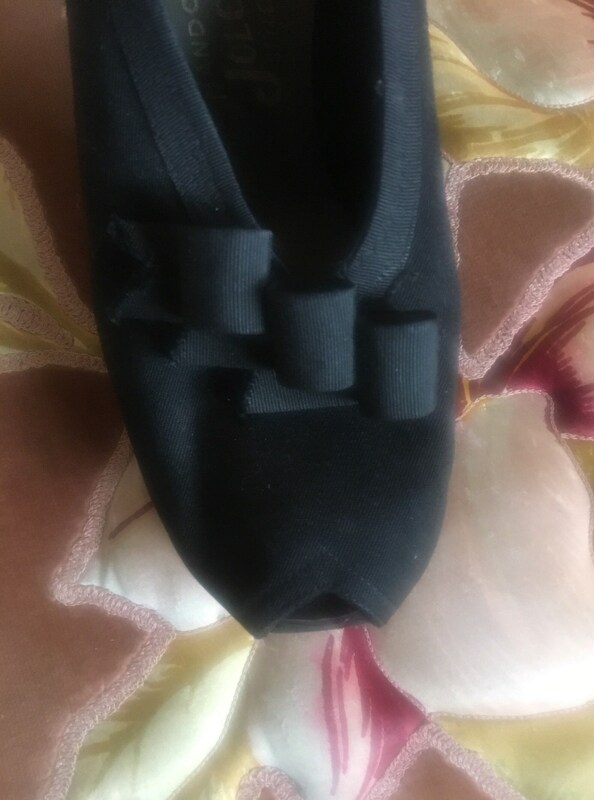 The shoe is rimmed along the opening with a fabric band and there are three fabric ribbons sewn is as accents on the front. 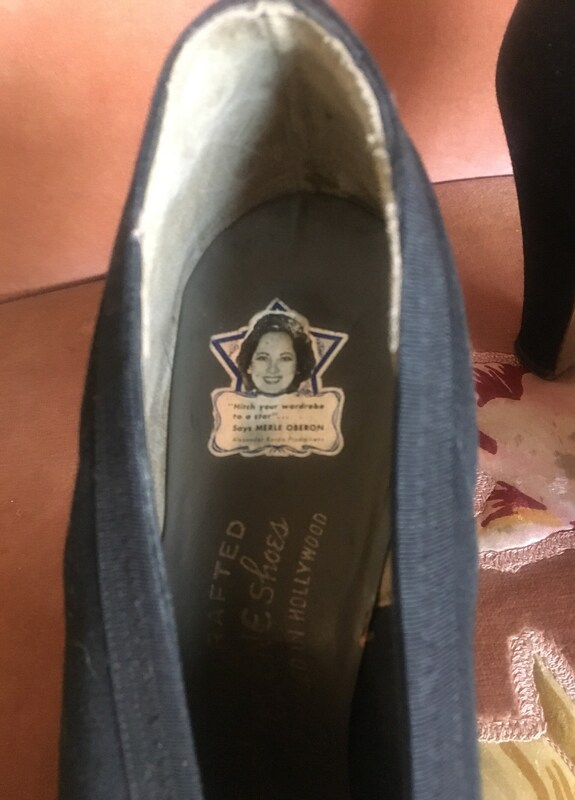 The shoes have a peephole as well. 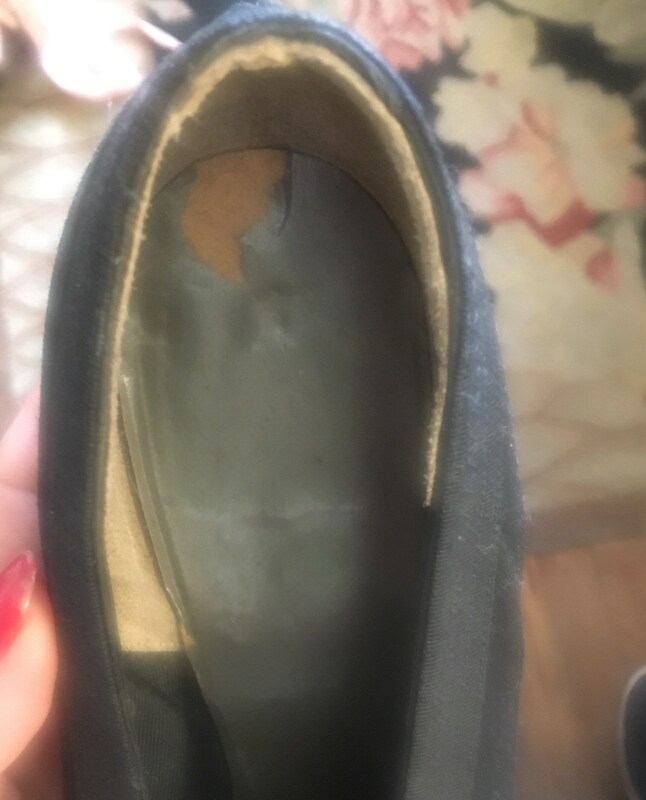 CONDITION: As mentioned there is a slight wear/tear spot on the sole. 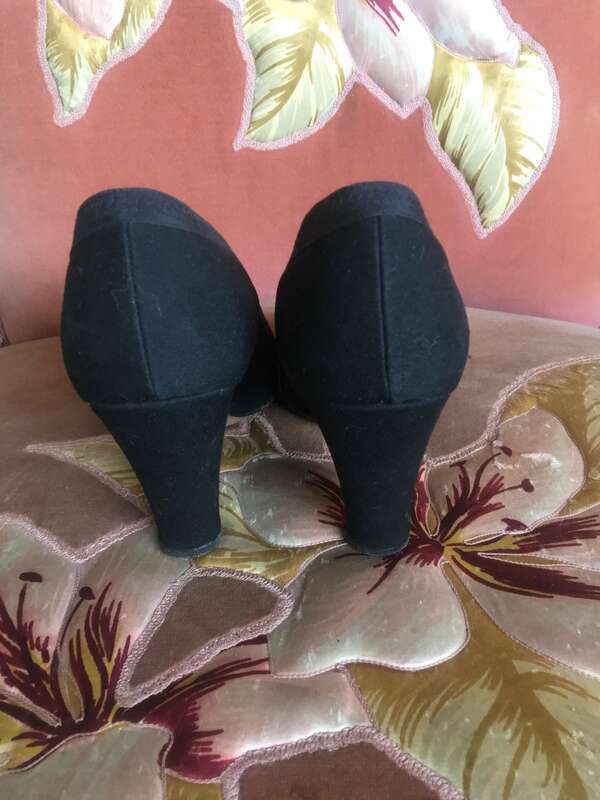 The bottoms soles look as if they were worn once or twice. 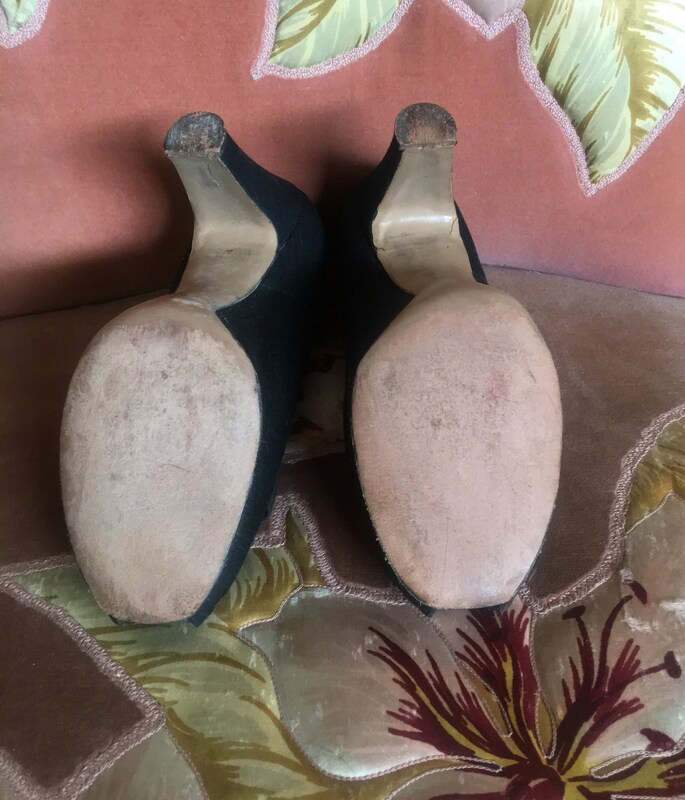 I am rating this shoes as being in MINT MINUS CONDITION.